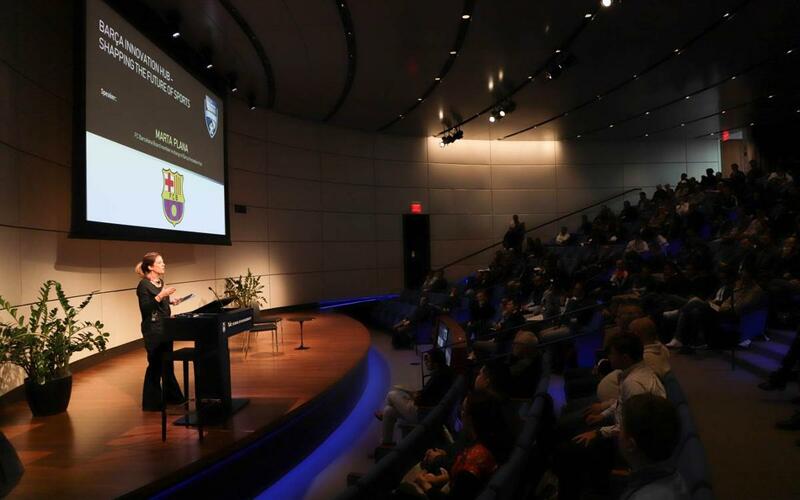 FC Barcelona director Marta Plana was invited by Yale University to give a talk this Saturday on the Barça Innovation Hub, as part of the Yale Soccer Conference, which the prestigious US institution is organizing for the first time. 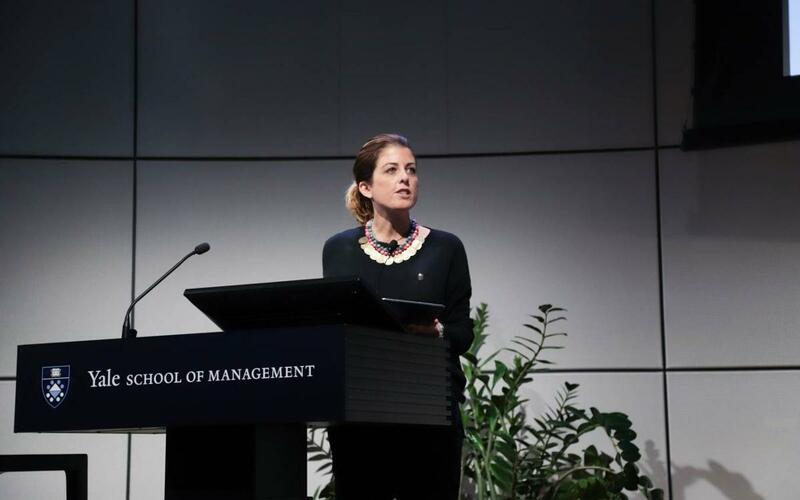 She spoke on Barça Innovation Hub, shaping the Future of Sports at the Zheng Auditorium to an audience of some 350 people, mainly professionals from the football industry, MBA students from such universities as MIT (Massachussets Institute of Technology) and Columbia, as well as Yale itself, as well as different entrepreneurs from the fields of sport and technology. She focused on explaining what this strategic project is about and how the club is committed to technology and innovation, detailing examples of success stories in the application of technology to the world of sport. She began by explaining what 'more than a club' means and why Barça is so unique with respect to other clubs, as well as the non-conformist culture that permeates Catalan society and that is part of the idiosyncrasy of Barça and its on-going quest for sporting excellence. This presented a wonderful chance to tell a captive audience just what Barça means to the world. It was a context of competitiveness and the need to stay ahead in the world of sport, remaining at the forefront in all areas of sports knowledge, that prompted the Club to create the Barça Innovation Hub in 2017, the intention being to set new standards in the sports industry as the team has already done the field of play, promoting an open and collaborative culture, working closely with the leading brands, universities, research centers and start-ups of all over the world, as well as other sports clubs, institutions, investors and partners. "Barça is the largest sports laboratory in the world and that makes us very attractive to partners that are looking to conduct research and development projects for new products and services that will not only benefit the club, but also society in general," explained Plana, who also gave interviews to Sport Techie, ESPN and Telemundo/NBC on the same subject. "The biggest challenge faced by BIHUB is to make Barcelona and Barça the core driver of the knowledge industry in the sports sector in Europe and in the world." Yale University, Connecticut, was founded in 1701 and is the third largest institution of higher education in the United States. Some sixty Nobel Prize laureates as well as such former US presidents as Bill Clinton and George W. Bush, and other senior politicians like Hillary Clinton and John Kerry are among its many famous graduates.